Don’t waste time and money on servers, app install, security patches. With Intermedia's cloud-based business productivity suite, your business is your focus, not your IT. Microsoft® Office 365® has become the go-to choice for businesses looking to move to the cloud. It combines familiar Office tools with the flexibility and mobility businesses demand. So you can work more collaboratively, on virtually any device and from anywhere. But you also need to consider data backup, disaster recovery, communication, GDPR compliance, security, and more. 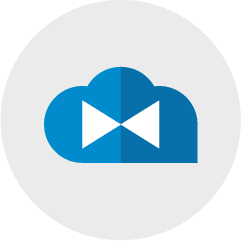 That’s why Intermedia enhances Office 365 with key integrated cloud services, providing the essential features and functionality your business needs—all as one solution. Our experts create a custom onboarding plan to fit your schedule, protect against data loss, and minimize impact on users. 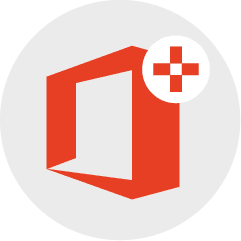 We offer a full suite of Office 365 plans and key integrated services designed to enhance Office 365 – a solution designed the way you want it. We offer services like email encryption and archiving to help you more easily comply with GDPR and other regulations. It’s all backed by our J.D. Power-certified 24/7 support. This means access to experts 24-hours a day, 365 days a year. Easy to deploy and administer, all backed by Intermedia's J.D. Power-certified 24/7 support and a 99.999% uptime SLA. Intermedia's email and productivity solutions are highly scalable and are the trusted choice for over 100,000 businesses of all sizes.